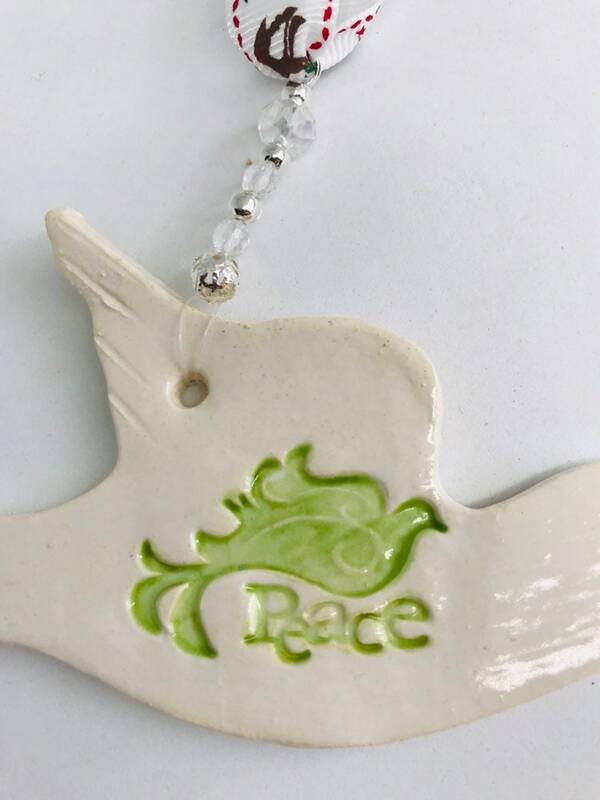 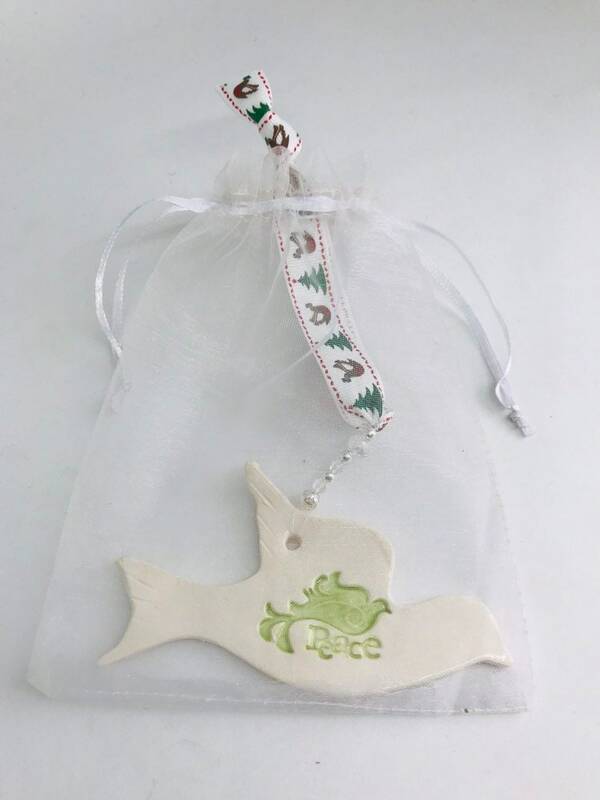 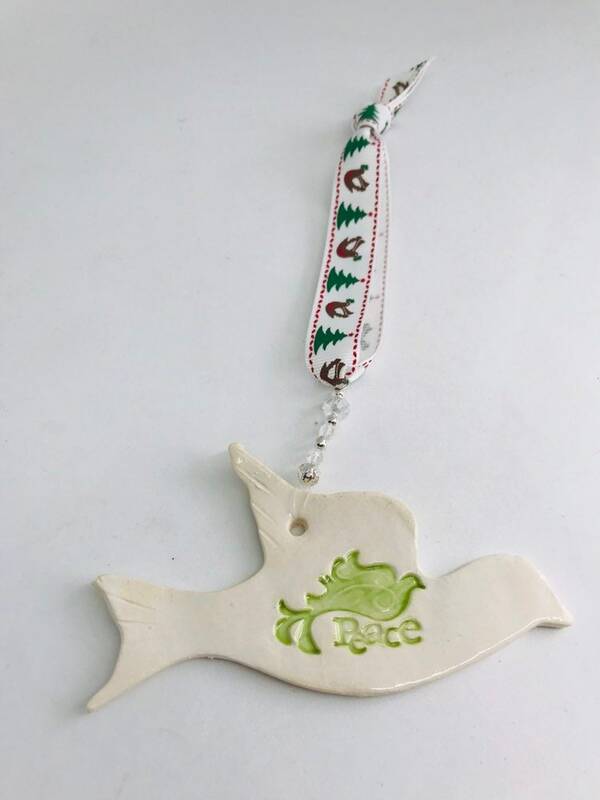 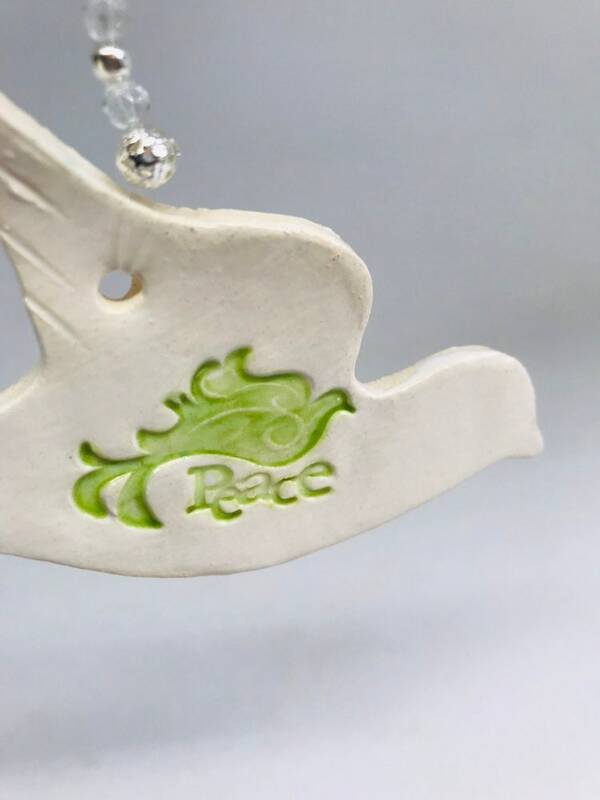 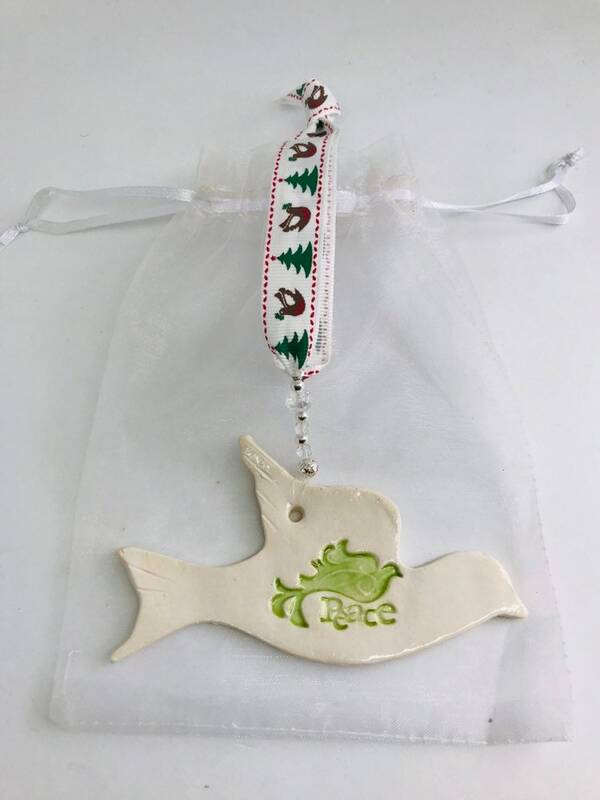 Christmas Decoration, Handmade Ceramic White Peace Dove, Xmas Gift, Stocking Filler, Secret Santa, Pottery Bird, Hanging Decor, Home. 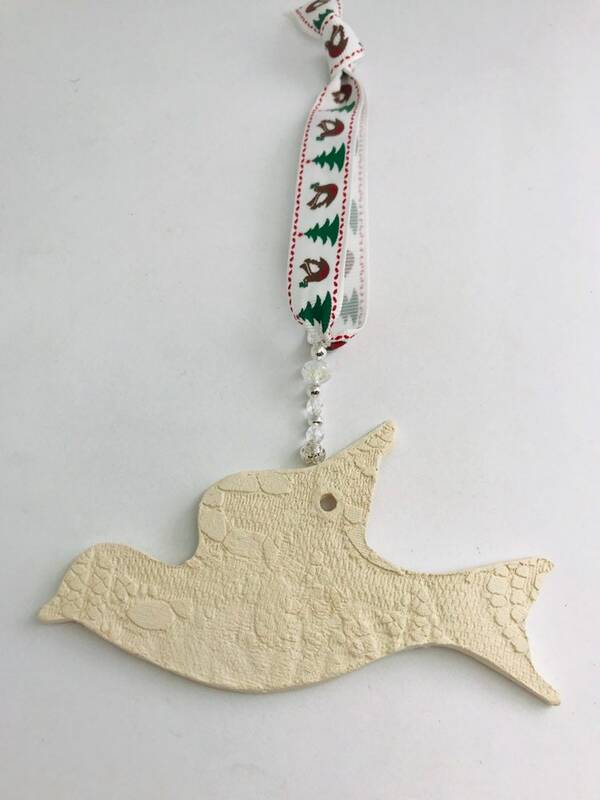 This listing is for one ceramic dove. 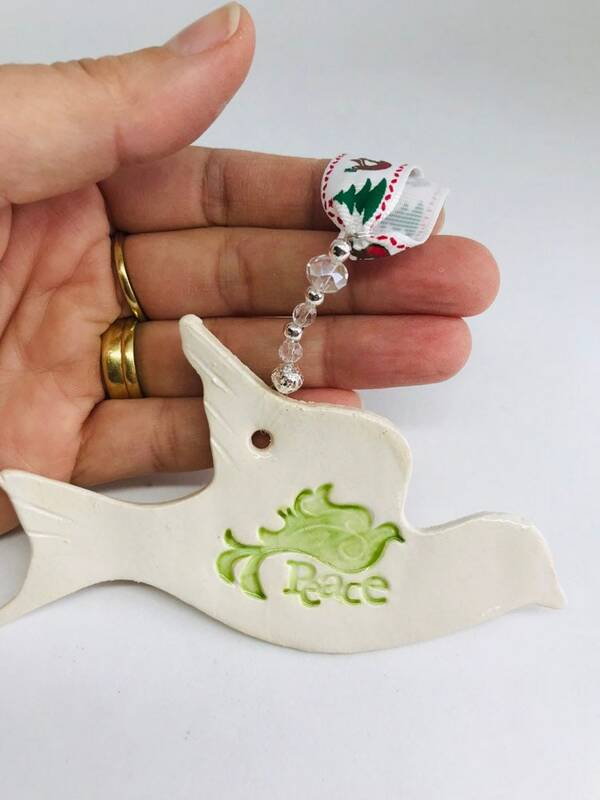 A great gift for family and friends at Christmas time. 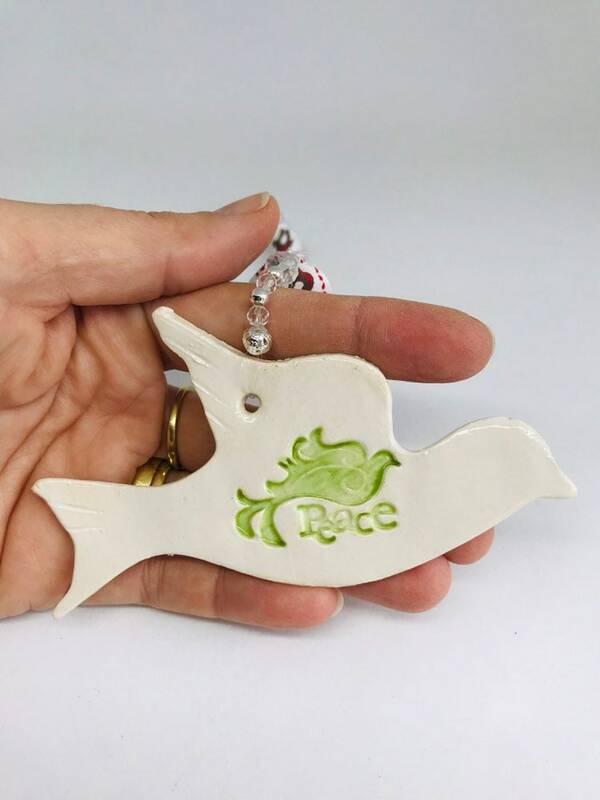 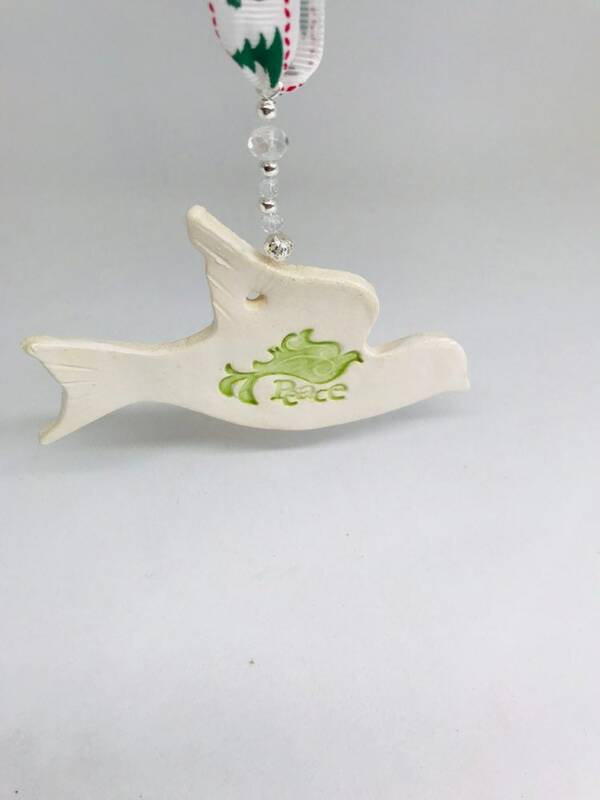 The handmade ceramic bird measures 11 cm wide x 5.5cm high and 5 mm deep. 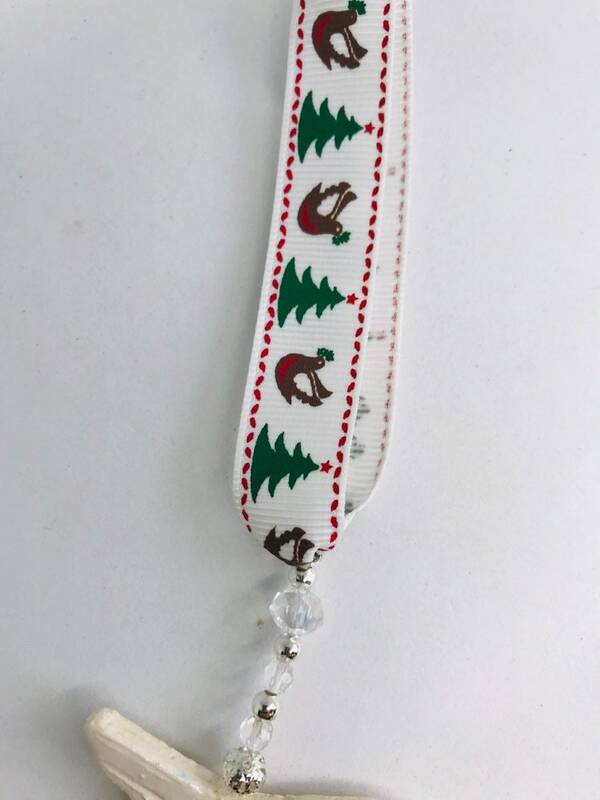 with its ribbon it measures 22 cm.